Our meadow is a great place for spider pictures. 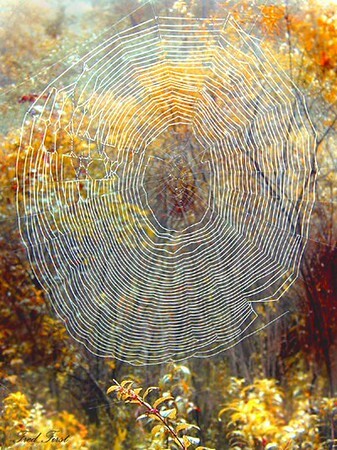 In the mornings, the invisible stealth of sticky web is made visible by the dew that descends in the valley overnight. Then, the light slants across the field, making the radiant webs shine like fiber-optics against the shadow not yet found by the rising sun.